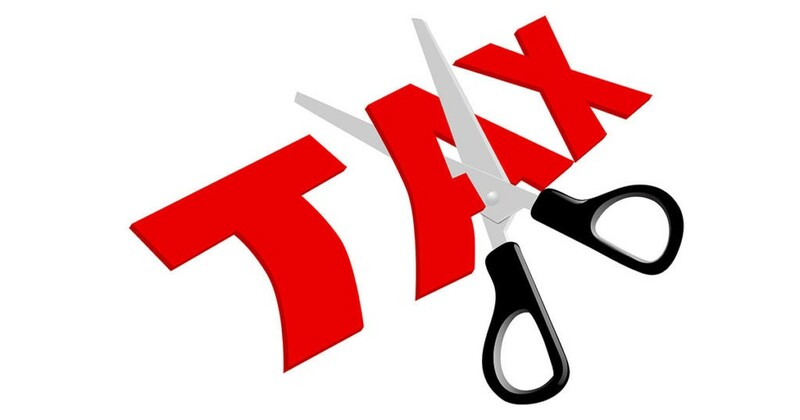 NOTE:‎ ‎This blog post was revised on January 27, 2019 to reflect IRS announced clarifications regarding the QBI deduction. One of the more dramatic provisions of the Tax Cuts and Jobs Act of 2017 (“The Act”), passed at the end of 2017 and effective January 1, 2018, is known as the “Qualified Business Income Deduction” or QBI deduction for short. The new QBI deduction is complex and regulations to explain the application of this provision have only partially cleared up some of the confusion surrounding its usage. To help understand if this deduction is available to your business or businesses you are a partial owner of or an investor in, and if so, what effect it may have on your personal tax situation, we will review some questions concerning its applicability. What entities are eligible for the QBI deduction? The QBI deduction is not available to C corporations. How does the QBI deduction work? The QBI deduction is generally 20% of “qualified business income” of a pass-through entity or 20% of adjusted taxable income, whichever is less. As an additional limitation, the deduction is limited to the greater of 50% of W-2 wages for the trade or business or the sum of 25% of W-2 wages plus 2.5% of the unadjusted basis of qualified property used in the trade or business. Regardless of the type of business entity involved, the QBI deduction is deducted at the owner level on page 2 of his or her IRS Form 1040. As such, it does not affect the Self-Employment Tax computation and is the same for both regular tax as well as Alternative Minimum Tax (AMT) purposes. Also, it is available to a taxpayer even if the standard deduction is claimed. What is Qualified Business Income and how is it computed? Qualified Business Income is the net amount of qualified items of income, gain, deduction and loss with respect to the qualified trades or businesses of the taxpayer. It applies only to the domestic (US) business portion and is determined separately for each qualified trade or business. There is an election to aggregate similar trades or businesses which will be discussed later. Qualified Business Income does not include investment income such as capital gains, dividends, or interest income. It also does not include any wages (S Corporations) or guaranteed payments (partnerships) received from the business. If the Qualified Business Income is less than ZERO for a particular year, the loss is treated as a loss from a qualified business in the next tax year. Although it sounds like double-talk, the Act defines a qualified trade or business as any trade or business other than a “specified service trade or business” (SSTB). It also excludes the trade or business of being an employee. It is important to realize that a trade or business needs to exist for a particular entity before it can become a “qualified trade or business”. For that reason, the owners of rental real estate may be eligible for a QBI deduction if they can reasonably assert that their activities involving those real estate interests rise to the level of a trade or business. After many years of litigation and numerous attempts by Congress and the IRS to adequately define trade or business, we are still left in a quandary. This is only further exacerbated by the examples in the proposed regulations that seem to show as a qualified trade or business a level of activity that most tax practitioners would agree doesn’t meet even the most liberal of definitions of a trade or business activity. But fear not, because the IRS has recently announced the issuance of a new Revenue Procedure (Rev Proc) that will allow taxpayers meeting some reasonable requirements, to treat their real estate enterprises as a true “trade or business’ qualifying for this new QBI deduction. Although the new Rev Proc does not answer all of the open questions, it does provide relief to a large number of taxpayers who might otherwise opt out of this deduction due to the classification ambiguities. More on this recent pronouncement later. Also included in the definition of SSTB is any trade or business where the principal asset of such trade or business is the reputation or skill or one or more of its employees. This provision seems to treat writers, painters and sculptors as SSTBs and therefore will prevent them from obtaining a QBI deduction. It should be noted that architects and engineers are excluded from the list of SSTBs. Also, any trade or business that provides 80% or more of its property or services to an SSTB, if there is 50% or more common ownership of the 2 businesses, that trade or business will be considered an SSTB. If the trades or businesses are commonly-owned but do not meet the 80% of its property or services test, that portion of the trade or business that is provided to the SSTB is treated as part of the SSTB. The definition of “commonly-owned” is determined after applying the family attribution rules discussed shortly. Does that mean that “Specified Service Trades or Businesses” do not benefit from this new provision? It would seem from the above that if you were defined as an SSTB that you would not benefit from the new law provision, but that is not correct. If the individual’s taxable income is below the “threshold amount” which is $157,500 on a single return and $315,000 on a joint return, every trade or business qualifies even though it meets the definition of an SSTB. Thus a dentist with QBI of $250,000 and taxable income of $300,000 on a joint return would be eligible for a QBI deduction of $50,000. Once the taxable income of the taxpayer exceeds the threshold amount, the eligible income subject to the QBI deduction phases out until the taxable income exceeds $207,500 on a single return or $415,000 on a joint return. If the taxable income exceeds the phase-out range specified above, the deduction will be limited to ZERO if it is an SSTB. If not an SSTB, it will be limited to the lesser of 50% of QBI or the greater of 50% of W-2 wages for the trade or business or the sum of 25% of W-2 wages plus 2.5% of the unadjusted basis of qualified property used in the trade or business. What if multiple businesses are owned by the taxpayer? The newly-announced proposed regulations now provide an optional election on the part of the taxpayer which will allow certain taxpayers to combine businesses for purposes of calculating their QBI deduction. The calculation limitations discussed above will still apply to the combined income, wages and qualified property. Trades or businesses may be aggregated if the same person or group of persons owns 50% or more, directly or indirectly, of each trade or business to be aggregated. This means in the case of an S corporation, 50% or more of the issued and outstanding shares of the entity and in the case of a partnership, 50% or more of the capital or profit interests. The family attribution rules apply so as to combine equity positions of spouses, children, grandchildren and parents. The above required control needs to exist for the majority of the tax year in which the items attributable to each trade or business are included in income and are reported on returns for the same tax year. Also, none of the trades or businesses that are included in the aggregation can be SSTBs. Multiple owners of a qualified pass-through entity can choose to elect aggregation or not regardless of the decision of the other owners. What are the requirements for Aggregation? The trades or businesses are operated in coordination with, or reliance upon, one or more businesses in the aggregated group. If an aggregation election is made, the affected individuals must attach a statement to their returns identifying the businesses involved, describing each trade or business, describing any changes to the aggregation participating businesses during the year and any other info required by the IRS. What happens if the business situation changes in the future? If in the future, it is decided that the aggregation election is no longer helpful, the electing taxpayer will generally not be allowed to terminate the election unless the requisite amount of control is no longer present. If after making an aggregation election, a new trade or business is formed or acquired, the owner can elect to include it in the existing aggregation election or not, at his or her discretion. How does this QBI deduction affect Trusts, Estates and Beneficiaries? If the trust or estate has an interest in a business that qualifies for a QBI deduction, that benefit will be allocated to the trust or estate the same as any other shareholder. The deduction is then either retained at the entity level or allocated to the beneficiaries based on whether the business income is distributed (or taxed) to the beneficiary. The information about the business’ W-2 wages, basis of qualified property used in the business and other data pertinent in the QBI calculation will be transmitted to the trust, estate or beneficiary for use in the calculation of the deduction. The threshold amount applicable to a trust or estate is $157,500 for any taxable year beginning before 2019. If the trust is a grantor trust, the existence of the trust is virtually ignored and the grantor will compute his or her QBI deduction as if the property were owned directly by the grantor. On Friday, January 18, 2019, the IRS issued final regulations plus two Revenue Procedures that will hopefully better enable taxpayers to correctly determine their eligibility for the QBI deduction and how to properly compute it. To underline the complexity of these new rules, the proposed regulations that were published in August constituted 184 pages of explanatory information on this new provision while the newly-published final regulations run on for 274 pages. That plus the two new Revenue Procedures (one of which is still in advance notice form), attempts to answer some of the questions that tax professionals have raised since the law was first enacted. It does accomplish that in large measure but it doesn’t necessarily cover all of the bases. For example, Notice 2019-7 provides a safe harbor determination that a real estate enterprise constitutes a “qualified trade or business”. It states that if the taxpayer can prove that separate books and records are maintained for each enterprise and that he provided at least 250 hours of “rental services” during the taxable year subject to contemporaneous record-keeping, then that entity can be considered a “qualified trade or business” for purposes of the QBI deduction only. Specifically excluded from the availability of this safe harbor status however, are any properties used as a residence by the taxpayer at any time during the year as well as any properties subject to a triple net lease. It is conceivable however, that a taxpayer could own a number of commercial buildings all subject to one or more triple net leases and the level of rental services he performs could be well in excess of the minimum 250 hours. In this case, if the taxpayer aggregates his real estate enterprises, he may still contend that he is operating a “qualified trade or business” however he will not be able to protect himself with the safe harbor provisions. His road to success in that quest will be much steeper to reach his goal. This new QBI deduction can have a significant impact on the owners of pass-through entities. The concepts involved are still unfolding, and the computations include a significant amount of complexity and technicalities. As the 2018 tax season progresses, expect the IRS to provide additional explanatory announcements providing further edification on this very confusing topic.